This Japanese Mum Build a Flower is stunning, I love all of the beautiful detail layers and the gorgeous curl of each petal. I know this is going to be one of my all time favourite stamps. I am really excited to see what all of the wonderful designers have created with it! The Japanese Mums are lovely! What an absolutely beautiful stamp set! I love mums- your stamps look so realistic! I’m looking forward to seeing what the designers have created! This mum is awesome! Can’t wait to use. Thanks for sharing! What a beautiful stamp set! Of course, what you do with each set is absolutely amazing! Thank you so much for your inspiring, beautiful ideas! I have several mum stamps but none compare to the beautiful detail found in this new BAF – love it!! I love this stamp set. It is so detailed. I have a few of your Build a Flower sets and would love to purchase this one too. Another great set! These flowers are gorgeous. Off to see the wonderful creations of the artists. I love this flower stamp. You can do so much with it. Wow! What a gorgeous stamp set! Once again I am in love with the new stamps! Great job! Can’t wait to see what everyone does with it! What a lovely flower. Love all the parts to make it come to life! The build a flower sets make me feel like an artist! Thank you for making these available. I love your build-a-flower series. For those of us who are timid about actual drawing, these stamps give us the confidence to produce our very own floral ‘works of art’. Love ’em! Simply gorgeous!! Love the inspiration! This looks like a nice set. I’m looking forward to seeing what everyone comes up with. What a beautiful flower!! I love the BAF series. So glad you came up with the kit, not sure if I can keep up with a monthly subscription though. I hope we can buy it anyway!! Beautiful new set. Cannot wait to see what I can create! I love mums! What a beautiful set and SOOOO Much inspiration! I love the beautiful colors and variety! I really enjoy traditional Japanese prints, so this is right up my alley. It reminds me of some beautiful silk-screen fabrics that I have, and now I want to make a bunch of cards based off those. 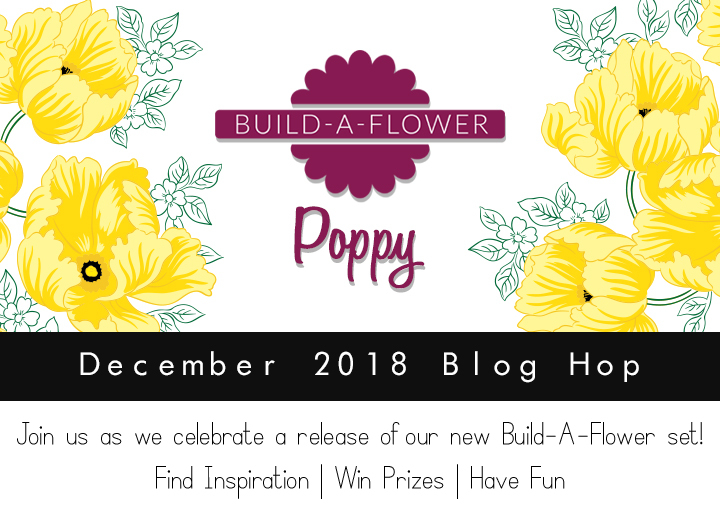 I’m looking forward to the bloghop! Such a beautiful flower! Love the various looks. I love this stamp set. So pretty! What a beautiful flower stamp! Can’t wait to play with this one! This concept of having all the layers of the flower is just special. One set can take you in so many directions, and at the end, each look gorgeous. What a fanulous layering stamp that I’d love to play with! These flowers are so beautiful. My mother loves the flowering cards I send her, I know she will love this as well. Another truly beautiful set! Hard not to end up with a stunning card with a set like this! This Japanese Mum really caught my eye. It is so pretty! This stamp is absolutely gorgeous….! Beautiful Stamp Set! I can’t wait to see how everyone uses it in the blog hop. This Japanese Mum is indeed gorgeous. Altenew’s Build-a-Flower sets just keep getting better and better. I can’t wait to see what your team has come up with. I so adore this new Build a Flower Japanese Mum set. This is my favorite set so far. Love all the designers card samples. So beautiful! Your new flower stamps never disappoint! Another amazing one, I love how many different color combos the pictures show! Adore this stamp set – very tempting and while I’m at it should add the color inks you displayed next to set. They are gorgeous. Gorgeous I love the feel of this flower set. Would make fantastic backgrounds! Another wonderful flower to layer with stamps or watercolor! I love it! I love your Build A Flower sets. This is another beautiful flower. Another beautiful stamp release; and stunning examples from all your extremely talented artists. It’s has been a fun Blog Hop. Yet another delightful release! I ought to just add Altenew as a column in my ‘fixed expenses’ budget. lol! My first introduction to your products .. beautiful! Beautiful China Mum aka Football or Pom Pom Mum which naturally grows in yellow or white (which can be sprayed with Design Master spray paint) is one of my favorite mums next Fuji Mum aka Spider Mum whicg grows in white, yellow, green and lavender. Very Beautiful and Pretty blooms. Wow that is so pretty. There are so many to create with this stamp. Wow, the detail is absolutely amazing – stunning design! Such a beautiful flower set! I absolutely LOVE all the inspiration! A definite must have for my crafty stash! Gorgeous! I can’t wait to see what your fabulous designers have done with this beautiful build-a-flower.